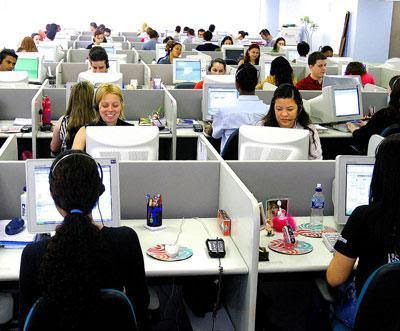 There are huge BPO and Call-center jobs opportunities in Noida (UP) and greater Noida locations for domestic as well as International BPO and call center jobs as there are several call center companies located in Noida for domestic and International call center jobs. These BPO jobs are mainly for those who are willing to make their career in BPO sector either in a voice process where you need to receive calls or in a non-voice process where you work as a back office executive to support backend operations.Candidates need to be good at communication skills as BPO companies require their employees to be willing and receptive towards making or receiving domestic or international calls.These call center companies are hiring freshers as well as experienced BPO employees. Graduates, undergraduates, 12th pass, dropouts all are welcome to apply for these BPO call center jobs in Noida. * Candidate should be energetic, aggressive in selling the financial and telecom products. * Candidate will be responsible for making outbound calls. *Candidate should have good presentation and convincing skills. *Candidate should have a positive attitude & should be Goal oriented. Hiring For many domestic BPO Companies in Delhi -Noida for Outbound/collection Hindi process for Telecalling,Telemarketing,Calling, for the below given Locations- Delhi- JanakPuri-Naraina-Pitampura Noida- NSEZ . 1. Graduates, under-graduates or 12th Pass. 2. Age limit: 18-26 (for Male candidates) 18-36 (Female candidates). 6. Lucrative Incentives other than Salary. Freshers and experienced both can apply for this day shift International call center opening. Call aakash @9871721057 to arrange an interview for this profile. I required a job in Noida locational for night shift if any opening pls assist me . I have done MCs and my experience is in teaching field.